My name is Sally Kirkman and I am an astrologer and writer. I started work as a self-employed astrologer in 1989 writing horoscopes for local newspapers and my astrology business took off from there. I graduated from the Company of Astrologers in 1994 and was awarded their Advanced Certificate with merit. The TVTimes astrologer for 15 years, I’ve written annual, monthly, weekly and daily horoscopes plus numerous astrology features for the Daily Star newspaper, Sunday Express magazine, Prima, BBCi, Chat It’s Fate and more. At Express newspapers, I was especially known for my celebrity and football predictions which were often spookily spot on. 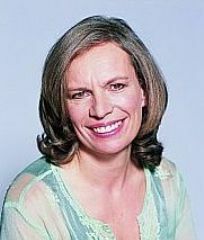 My website, Sally Kirkman Astrology, was launched on the Spring Equinox in March 2011 and I have quickly grown a strong following of subscribers to my free weekly astrology newsletter and my popular monthly stars. Over the last couple of years I have also attracted a new audience who enjoy my increasingly accurate predictions for the men’s Grand Slam tennis tournaments. I work with personal astrology clients globally via Skype and telephone and this allows me to use my counselling skills which I learnt many years ago. Astrology helps you be in flow, make decisions and know when to act. When life gets tough, the planetary cycles remind you that ‘this too shall pass’ but with the added benefit of pinpointing when there’s light at the end of the tunnel and emerging with greater wisdom and understanding. The first thing I love about working for myself is that it’s allowed me to be a stay-at-home Mum for my daughter who’s nearly 14. The second thing I love is perfect for my Sun Scorpio, Aries Ascendant combination which is, I’m in charge of my own life. On my Saturn Return age 29, I was looking for a new career and knew only that I wanted to work for myself and use my creative talents. Astrology effectively found me and the rest is history. With my Moon in Libra and a host of 7th house planets, I love helping people and I am grateful to be working 1-to-1 with women and some men who want to make the most of their potential, discover their destiny and who are open-minded enough to allow the flow of the universe to guide them. The surprises have been discovering how much I enjoy both writing and reading charts. I couldn’t imagine my life now without either strand of astrology. I enjoy writing horoscopes as they bring the language of astrology down-to-earth and I’ve recently discovered a love of blogging where I can share my astrological insights. Working with other people via personal astrology consultations is deeply satisfying and humbling and I wouldn’t want to give up either writing or consulting. There are shocks when life intervenes and, true to the astrology, the credit crunch kicks in and the high-earning horoscope contracts go out of the window. Without such a loss, I would never have discovered how much I enjoy using the internet to share my love of astrology. It’s helped me reach a wider audience who connect with me and astrology on a different and often deeper level. I’ve grown hugely as a person throughout my unusual career and I can’t imagine my own life without astrology just as life without the sun, moon and stars is an impossibility. I feel blessed that I discovered my vocation at a relatively young age (late 20’s). In recent years, I’ve begun to develop new business skills via coaching, reading and training which has helped me sell my astrology services on- and off-line. Learning how to market and promote astrology on the internet has meant that I’m not as reliant on the media industry which is going through its own big changes. The joy of being an astrologer is that 25 years later, I’m still learning and gaining new knowledge. Astrology meaning ‘the language of the stars’ is the study of correspondences and connections and has links with history, mythology, psychology, cosmology, astronomy, anthropology. There are many references to astrology in art, literature, popular culture, music and language. It’s a traditional branch of learning that gives an inner, magical and soul perspective in our increasingly hectic modern world. The thing I’m most looking forward to is continuing my journey as a guide and oracle to help others and as my own spiritual path develops, being open and willing to see where life leads me next and to allow in as much happiness, fun and abundance as possible along the way. Sally is another of the wonderful women in my mentoring group, Club 100. This series of blogs featuring the members during August is in the run up to the price increase to £150 per month on 1st September. However, you can grab your seat now and save 50% for the life of your membership. Whatever price you claim on joining, remains yours for the life of your membership. Read more about Club 100 by clicking this link. Delay is increasingly expensive, as one of my mentors once taught me.